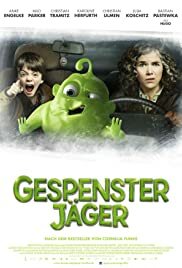 Ghosthunters on Icy Trails comes across as a sub par Ghostbusters/Men in Black hybrid based on a book by Cornelia Funke a German writer who also wrote Inkheart. It is a film that kids will enjoy as it is made in Germany with a largely German cast, presumably dubbed in English but the main star is English actor Milo Parker and set probably in the USA. An anxious 11 year old boy Tom finds a slimy green ghost in the cellar of his house. Tom realises that the green ghost called Hugo, is harmless but also in need of his help. Hugo has been banished from his haunted house by a dangerous ancient ice ghost who is spreading arctic freeze all over world. Tom and Hugo find a professional Ghosthunter, Hetty Cuminseed who has been laid off by the officious Central Ghosthunting Institute. 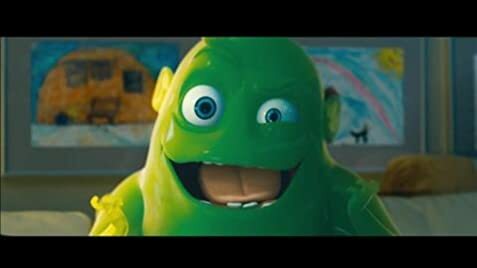 Hugo looks like Slimer from Ghostbuster, the humour is aimed at kids but the story is decently told. The film does look a bit like a Europudding and the special effects look a bit cheap. Milo Parker gives another appealing performance.